I guess madness really does take its toll. 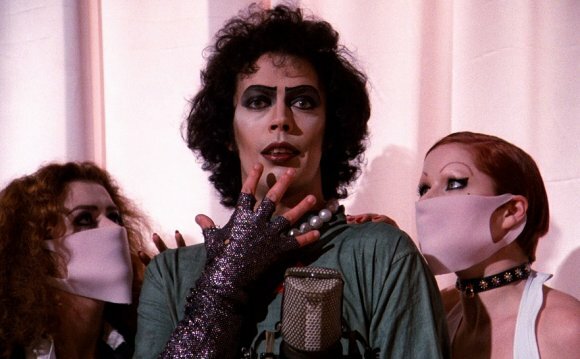 Tim Curry, Susan Sarandon, Barry Bostwick, Meat Loaf and Patricia Quinn recently gathered for a chat and a photo, sharing a few memories about how a perennial favorite film came together. Unsurprisingly, Sarandon looks even better now than she did as a 20-something. And, although Curry reportedly suffered a stroke in 2013, he looks and sounds great. In celebration of the anniversary, BBCA will broadcast a new stage production filmed at London’s Playhouse Theatre. The show, airing October 18th, will feature Rocky Horror creator, Richard O’Brien as The Narrator, as well as Stephen Fry, Anthony Head, Adrian Edmondson, Emma Bunton and Mel Giedroyc. Glee preview: The Rocky Horror Picture Show!